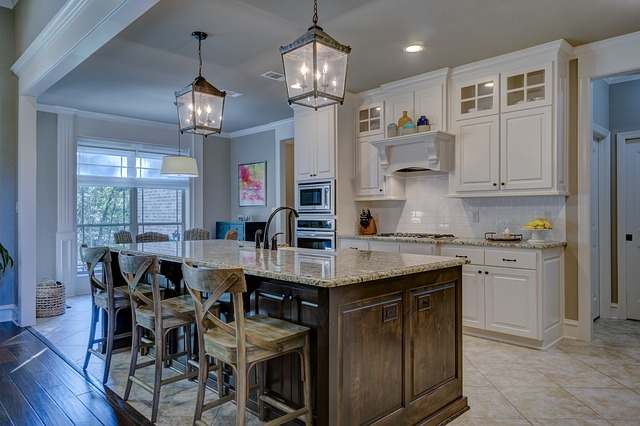 Budget is the first thing that comes to mind when talking about decorating and remodeling. Everyone wants to be that guy who’s friend says: “Wow, I didn’t know you were this well off!” when they visit your home for the first time. Unfortunately, remodeling your home can be very expensive. But don’t worry! This article will help you achieve your luxurious home dream while saving you a lot of financial worrying. 1 1. Get a single wall tiled! 1. Get a single wall tiled! Having one wall instead of all the walls tiled makes a lot of difference. It looks better and makes a bolder statement. It saves you a lot of money too. Decorating one wall allows you to pick out a better quality tile costing around $5 each. Tiling the whole average wall would cost around $200. At Home Art Tile, we offer different sized kits for different wall needs for a low price. To save your wallet and be able to look fancy is a win-win situation. When you replace a whole countertop with a single slab, this will save you a lot of money. It is recommended for the bathroom sink. It will create a classic look. 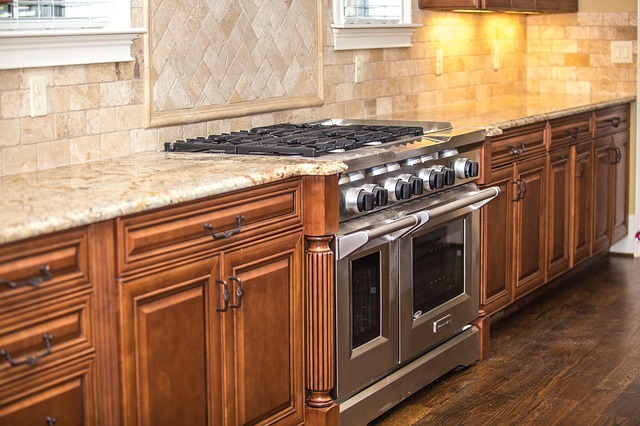 Click here to view some awesome and affordable alternatives for a backsplash. A very simple way to instantly transform your home is to add in a large-scale art piece. Having a painted canvas against a clean wall will create a very powerful impact. It is better to have one large painting instead of several small ones to hang around the house to help save money and to give your home a bolder appearance. Just like artwork, having a large, expansive mirror will make a big difference. A mirror will not take up space since it can be placed on the sides of the wall. Adding an expansive mirror can match with all your other furniture while giving a modern and clean look to your home. To save you even more money, try budget decorating by buying multiple smaller glass tiles and stack them onto each other. Everyone wants a bright home. 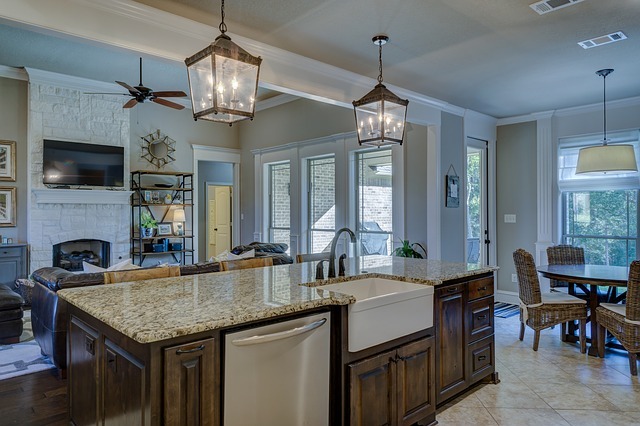 Lighting is very important when remodeling your home. Buying chandeliers will instantly make everything seem better because they look so fancy and elegant. Placing a chandelier will draw all your guests attention to it and away from the plain walls. Investing in this will definitely bright up your home’s image. Purchasing Capiz products will save you a lot of money! They are inexpensive material that can create a high-quality shell-on-shell look. There are many pendants and sconces made with this material giving you a lot of choices. Gold is very expensive and too valuable to have it just laying around your house. However, if you only have small accents of it in your home, it will give off a high-end look without the expense. For example, use gold paint and paint it over your mirror frames or picture frames at home. Add in a gold leaf to make it more artistic. 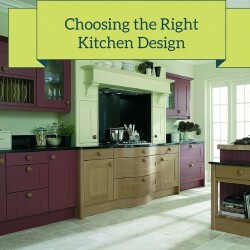 Choosing the right materials for your home is crucial. A few ceramic surfaces or accessories will impact the look of your home dramatically. Contrasting them with wood and glass will bring out its qualities even more. Here at Home Art Tile, we offer a variety of materials you can use to decorate your home. It will help you a lot with your budget decorating since it ranges from tiles to countertops in multiple designs and sizes to suit your needs.